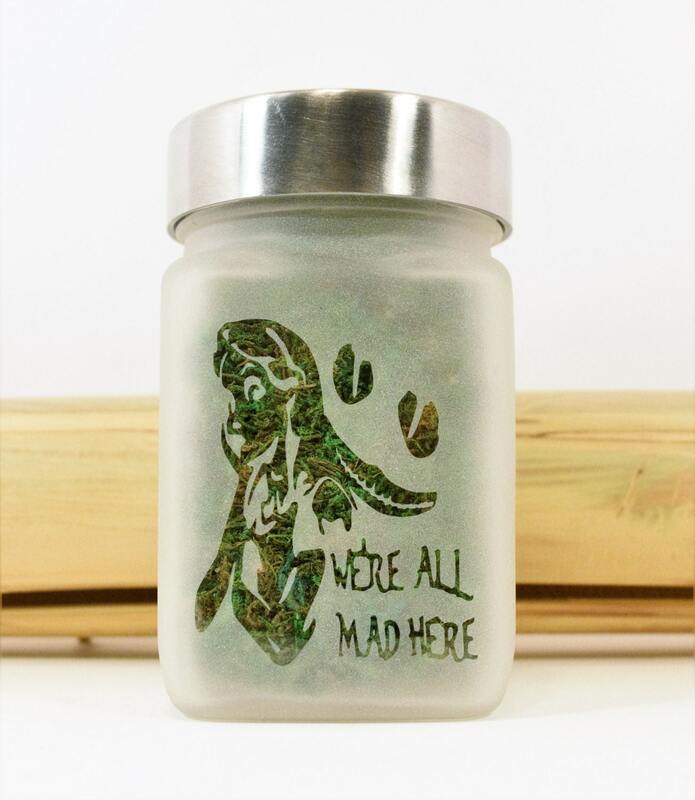 We're All Mad Here Alice in Wonderland Stash Jar. 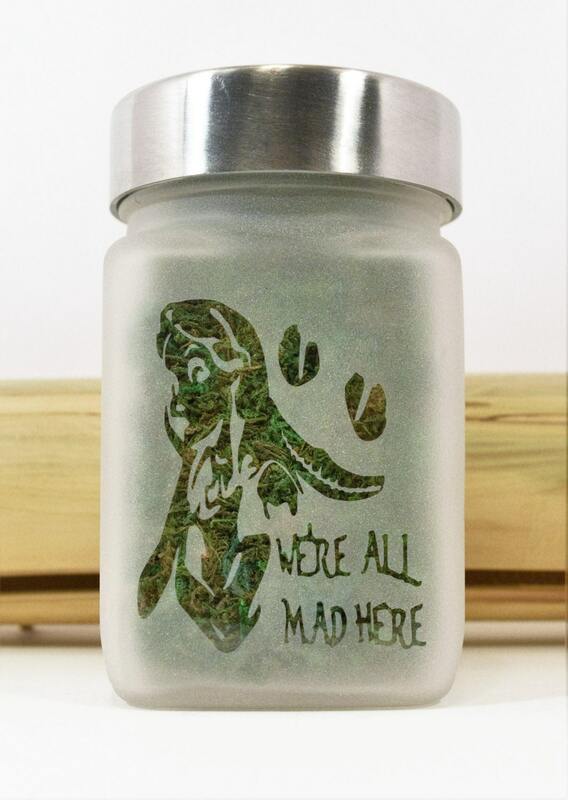 Etched glass Alice in Wonderland - We're All Mad Here weed jar will keep your weed fresh and your dank stashed in style. 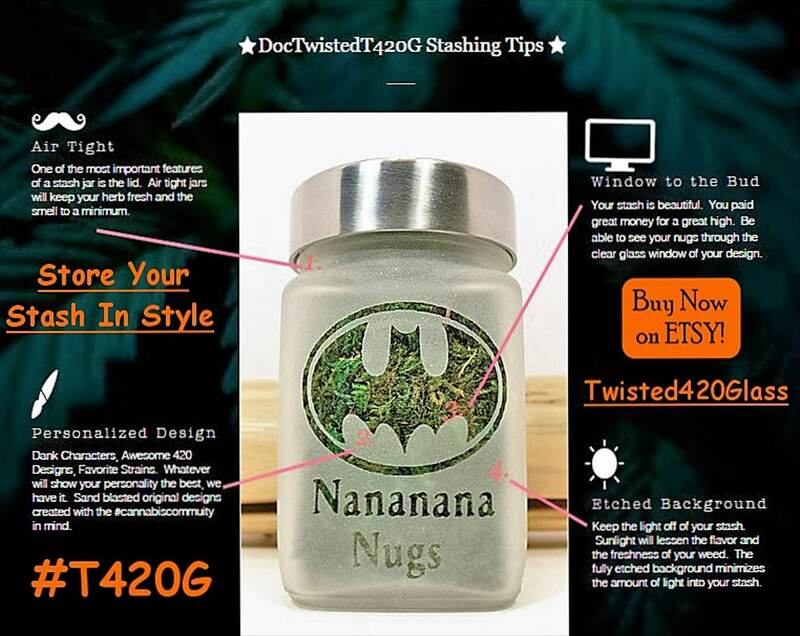 Weed accessories are food grade, airtight, smell resistant medical marijuana stash jar has brushed aluminum twist tight lid. 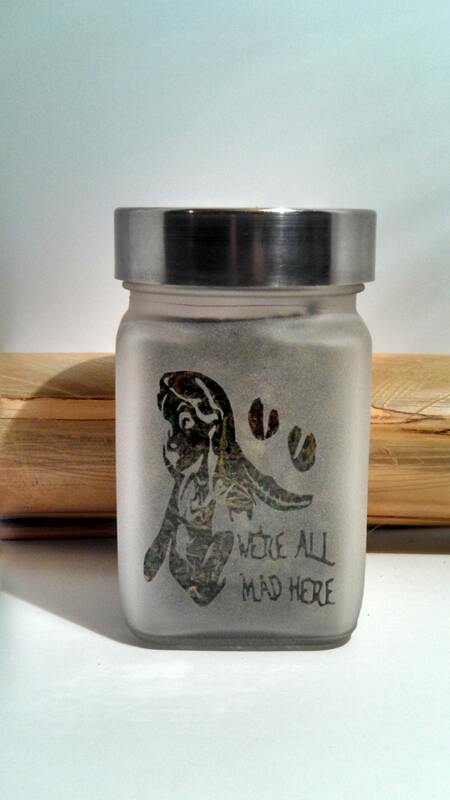 Alice in Wonderland stash jar size roughly 2.5"w x 3.5"T.
Perfect cannabis gift for your favorite stoner girl. Goes with your favorite glass weed pipe, herb grinder and glass bong. Note: The Alice in Wonderland stash jar image in photo has a green back drop. When it arrives to you the Alice logo will be clear glass. As a reminder, these are stash jars. If you are in a legal recreational state, stash your weed. Medical Marijuana patient, stash your mmj medicine. Non-Legal state, stash your herbs, money, tobacco, pennies, buttons, anything and everything you can imagine. Our stash jars are made of food grade glass with an air tight seal. Great product. Very happy with purchase, will buy again.